Thanks to +Tom Voute I have learned a new, easy way to "turn off" your Inbox by Gmail and essentially have a do not disturb setup. Yeah I know, you can easily just close your tab (or minimize) so its not there, but there are people who like to work with the Inbox tab always open, like, me for example. This is especially true for those that work in with multiple monitors and have Inbox open in one and whatever else they are working on in another. Well here is a simple step to stop your new emails from showing in your inbox. Just turn the Pin on and nothing new will show since nothing new will have had the opportunity to be pinned yet. 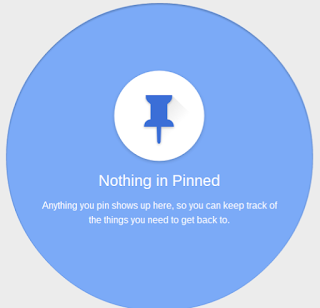 For me its a great system because I don't use the Pinning feature, but rather rely more on the snooze feature. I have yet to come by an email that I need pinned to my inbox at every waking moment. Thanks Scott -- I appreciate the tip. I actually wanted DND for GMail so much, I built an app for it. It works on desktop and mobile Gmail and is free. You can try it out at dndemail.com.